You can come across them on Brno’s streets, inconspicuously embedded in the pavement: a cobblestone carrying a brass plate with the name of someone who long ago lived in the house, and with their fate condensed into a few words and numbers. Already more than fifty thousand Stolpersteine or Stones of the Disappeared have been installed in nineteen countries in Europe and so in their way constitute the largest memorial in the world. The first stone was laid in December 1992 in the pavement before Cologne’s historic Town Hall. This event was not yet part of a more extensive project, but only the culmination of a several-hour-long artistic performance on the fiftieth anniversary of the deportation of thousands of Roma and Sinti from the city, which was in a way a “dress rehearsal” for the mass transports of Jews, and the brass plate carried the first words of the corresponding order from Himmler. The originator of the idea, the German artist Gunter Demnig, developed this in the following years into the concept of cobblestones that commemorate individual fates and return the names of those that had been removed to the place where they lived. An important aspect of the project is the scattering of the stones throughout the city. “With a central memorial from time to time notables will gather, but the public tends to pass by,” explains Demnig. “But you can come across Stolpersteine throughout the city.” The word stolpern however means to stumble, in this case in the words of the author “with head and heart”. Some of the more conservative Jewish communities criticised the project for a lack of piety. Respecting their criticism some cities – such as for example Munich – have not allowed the placing of Stolpersteine in public spaces. Of course sometimes the stones are vandalised or removed by neo-Nazis, but on the other hand Germany has a range of voluntary organisations which care for and maintain them. The first 250 Stolpersteine in today’s form were made by Demnig in Cologne in 1994 and at the start of the next year he began to place them in the pavement, at first even without official permission. Today you can stumble across them in more than twelve hundred cities, towns and villages. The first ten Stolpersteine in the Czech Republic were laid in 2008 in Prague’s Josefov district, and others can be found for example in Ostrava, Olomouc, Kroměříž, Kolín and two hundred of them also in Brno. In the Czech Republic the project is coordinated by the Jewish community, however here the Sokol Brno I organisation is also involved, each year laying stones to commemorate their members murdered by the Nazis, regardless of what their faith was. 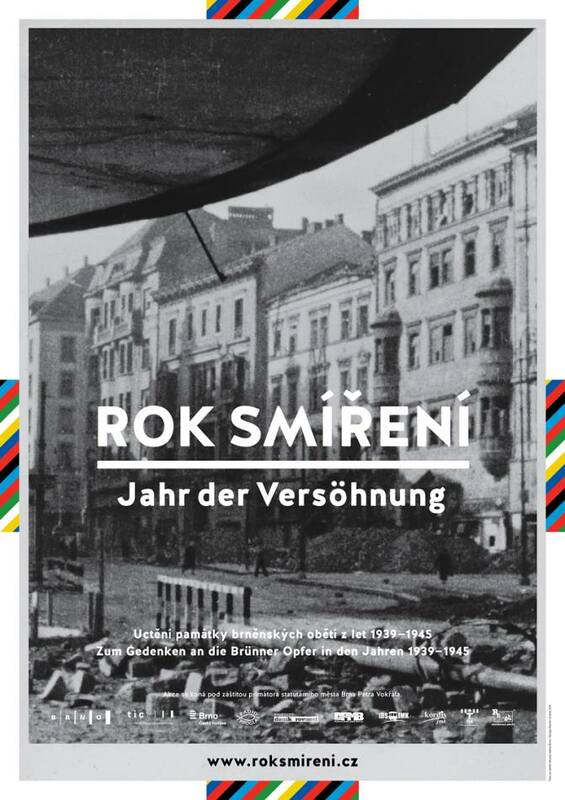 This Sokol event always has a theme and this year they remembered four victims who had been civil servants or leaders of the city, including the interwar mayor Karel Tomeš.